The Baal Shem Tov sat down on a tree stump in the field, surrounded by his disciples. He taught them and said, "I tell you, the world is full of great lights and awesome secrets, but a person can keep himself from seeing them simply by holding his little hand in front of his eyes! "Someone on a high spiritual level is constantly aware of God's presence, and doesn't need to remind himself again and again that God is with him, because he sees God with his mind's eye, for He is the place of the world. "What this means is that God existed before He created the world, and the world exists within the Creator, blessed be He. Therefore, a person's cleaving should be so great that what he primarily sees is God, blessed be He. He should not see first the world and then, by the way, God. No, his vision should be primarily of God. When a person is on this level, all the klippot -- the concealments which are the unholy forces that block what is divine-- disperse and disappear, for it is they that darken the eyes of his mind so that he cannot see God, blessed be He. "I tell you, there is nothing that exists in the world except the light of the Infinite One, blessed be He, concealed within all things. And all the verses in the Torah, such as, 'There is nothing but Him,' 'The whole earth is full of His glory,' and 'I fill the heavens and the earth'-- should be understood literally, according to their plain meaning: that there is no place and no action, speech, or thought that hasn't the essence of Godliness concealed within it. Even a speck of dust is pervaded by divinity. Therefore, someone who gazes with a piercing glance on everything that he sees-- at their inside and inner vitality, not their surface and outside alone-- will not see anything other than the divine power that enlivens them and brings them into being and keeps them in existence, every moment ." "You must know," said the Baal Shem Tov, looking at his disciples sitting around him, "that all the worlds were created by and from Him and are garments for Him, like the snail, whose shell-garment is part of its own body. Everything that exists is created and kept in existence every moment by the divine power that is within it. Were it removed, that thing would instantaneously return to nothingness. You must realize with complete faith and know with absolute clarity that the whole earth is full of God's glory and there is no place where He is not present. When you know that God is in every object, movement, and thought-- and that everything is from Him, for everything is a covering and garment wherein He is concealed-- when you know that He is hiding there, there is no longer any concealment, and all the 'workers of iniquity' are scattered. There is no barrier separating us from God; He is always with us. "You must not only believe and know this, but must realize it in your own experience. Only someone who seeks God with total self-sacrifice, who is restless for God and yearns for Him can attain this. When your only desire is to see the face of your Heavenly Father, you won't be deterred by any obstacles or barriers, whether material or spiritual, for there are no barriers; they are all illusory. God is always with us." As he said this, the Baal Shem Tov closed his eyes and entered a trance. His face shone like the sun at its zenith. Gazing at the radiance of the Shechinah (the divine presence) on his face, the souls of his disciples were as if on fire. The Baal Shem Tov remained in that state for a short while as the disciples sat silently and watched in awe. Then he slowly opened his eyes as if waking from a deep sleep. Moved to the core of their souls by what they had heard and seen, they wove a leafy crown of twigs and, placing it on the Baal Shem Tov's head, they affirmed their devoted allegiance to his leadership and declared him to be the Rabbi of all the Jews in the Exile. Excerpted by permission of Yitzhak Buxbaum. 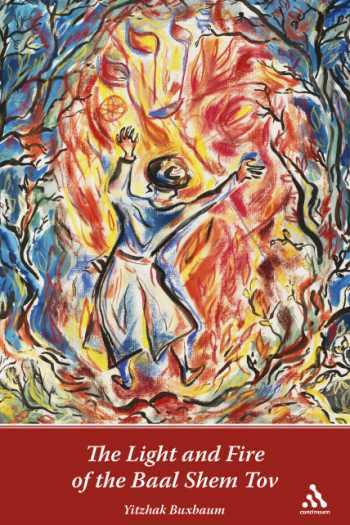 The Light and Fire of the Baal Shem Tov by Yitzhak Buxbaum is available in bookstores and on the internet, including from the author's website www.jewishspirit.com. The book has received extraordinary praise from top scholars, authors, and rabbis across the religious spectrum.